In the industry were in, it is not our job to promote a client’s insecurity, but to study the insecurity to determine its origin and how to approach it. Most clients come to us to correct a deformity that is making them self-conscious and uneasy. The level of concern is proportional to the physical findings. For a small group, however, the client’s emotional responses to their “deformity” are disproportionate to the severity of the problem. This latter group is stricken with a psychological disorder called body dysmorphic disorder and this group of people one tries to avoid at all costs. I think it’s time to have a look at where you stand as a client in your knowledge to what you are about to do when it comes to any treatments and make suggestions to how, who, when and what to approach or to stay away from. Common sense suggests avoiding people who make you feel bad about yourself. From doctors to sales people at the cosmetic counters that might be trained to point out shortcomings and then profess to have the miracle cream or treatment to save the day. Then you come across physicians that just don’t listen to you. You want your lips sorted out but they tell you about deformities and signs of aging that even you had not considered. These types of interactions do not work well for either the client or the physician. Let the physician first get a basic understanding of your health history and the concerns you have regarding your face. Then the physician proceeds to describe the options of treatments they have for you and discuss the risks, what you could expect from the treatments which are fantastic but…. If you are there for your lips and the physician tells you almost everything he knows about the topic and you then decide that the consultation is going well and that you also require information regarding other treatments that may assist to enhance your appearance and how to slow the aging process, he should not dismiss these topics. The physician should be able to tell you about the prevention of your aging skin because all these go hand-in-hand in prevention as the first critical lines of defense against aging. The importance of your physician knowledge on these topics is to provide the best aesthetic results for his patients and the knowledge about the basics should be part of his treatment. Your physician should understand everything regarding the skin to appropriately advise you as a client. A science background is essential. At all levels of cosmetic health care, hype tends to overwhelm science. Some physicians have started to sell products called cosmeceuticals which is a hybrid product and they are only a modestly effective cousin to real pharmaceuticals that are designed to treat and improve your skin. Some critics would say that a doctor has a moral obligation to be a physician first and not a salesman for fancy moisturizers. To those critics I would argue that although these products are not much different than anything available over the counter, a benefit is provided in finding a professionally selected group of products at your physician’s office. Of course this reasoning is only as good as the physician, who takes the time to research and evaluate the products they provide. What is beauty, may seem like an easy question at first glance, but upon further consideration it is not so. Does a treatment make the patient more beautiful or just not as wrinkled? The old saying goes “Beauty is in the eye of the Beholder” has some truth to it. There has been different definitions of beauty theories throughout the ages, as well as from different societies you will pick up when you research the literature to gain better understanding of beauty. 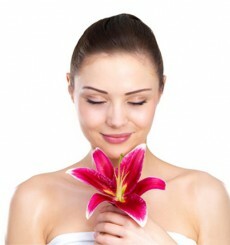 It helps you and your physician to evaluate a better plan to enhance your “beauty”. The understanding of treatments to help prevent and treat fine lines, photo aging, and blemishes are important for you and your doctor to understand and know about. 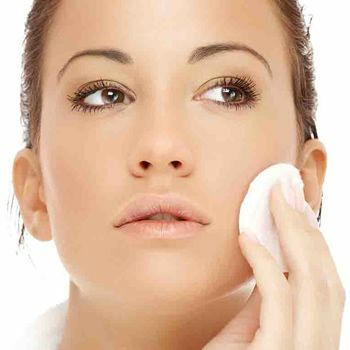 As to be able to know what before and after care and products you should use is of importance. How to keep your skin healthy and protected from the ravages of the sun and pollution should be common knowledge and you should know by now that companies resort to beautiful models and celebrities to pitch their products, regardless of their merits. These highly paid endorsers often see, smell, and feel the product for the first time when they enter a studio. The labeling of these products is also full of hype. All this information is important for you to make the right decisions based on scientific facts and not because the packaging is pretty and with this your physician and in our case here at Wembley MediSPA the therapists will be able to help you with. In the past all focus was on the diseases of the skin only, but over time the knowledge was brought to bear on treatments for beautiful skin as well. Aesthetic physicians are the pioneers in the many treatments now available for your skin. Facial wrinkles and other signs of aging can be treated effectively with fillers and Botox. FDA-regulated pharmaceuticals are available for preventive skin care that are very effective and require a doctor’s prescription. Going beyond protecting your skin and keeping it healthy we here at Wembley Medispa would like to set you on your way to looking as beautiful as possible. Imagine your face as a beautiful picture, with the shape of your nose, the pout of your lips, and the tilt of your eyes all making up your own unique portrait. The distinct areas of your face and the treatments available to help you look more beautiful or just a little rejuvenated from the sagging of the cheeks and neck, to the eyes, eyebrows, the forehead to your mouth, nose and ears and it is always a good idea to do some homework before you decide whom you should consult with to determine if a specific treatment is right for you. To get the best and the right advise is essential to a good result. You must realize that the difference to having a hernia that can be a life threatening problem and, as such should be corrected. Having an aesthetic treatment is your choice. The underlying concern is that you will have to be subjective to yourself to the risks because it is not strictly medically necessary and to increase the odds of a successful outcome, you will certainly want to find the best doctor for you. Thank goodness people do not hide the fact that they have treatments done anymore. Now they talk openly about it and I personally think that is a good thing. This way you can find out who are the best doctor and from which doctors/spa centers you should run a mile! Moms are typically last in line for care and consideration. But now-day’s she look in the mirror, and come to the realization that although the years have passed by quickly, her skin and facial features have counted each and every moment of those difficult 20 years. I can outline all the different options for reclaiming some of the beauty lost over a 20-year journey of motherhood and leave it at that, but for some who have experienced the excessive ravages of the sun or smoking, improvements may be limited, but ladies sooooo available.